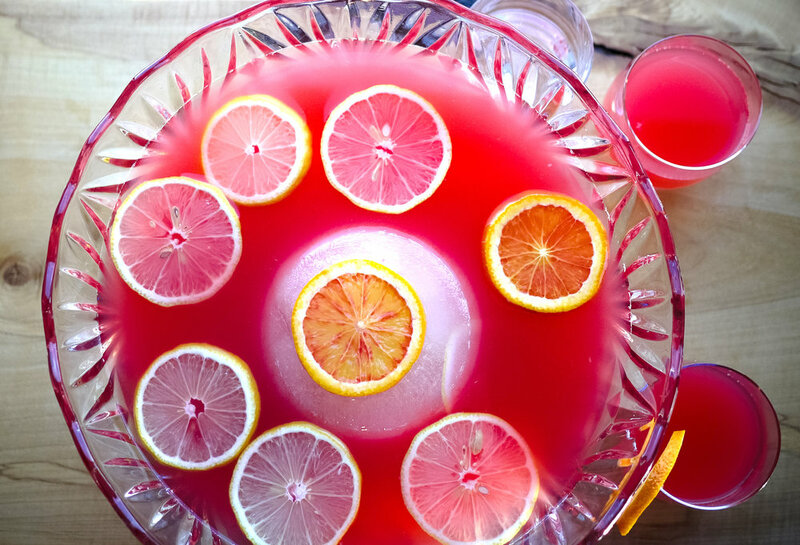 Reward your team and clients with holiday gifts and experiences from Cardinal Spirits. Local business gifts! One-of-a-kind gifts for employees! Customizable events! Mix-and-match any 3 of our 375ml spirits into the perfect gift box. Choose from: Vodka, Standard Dry Gin, Terra Botanical Gin, Songbird Coffee Liqueur, Bramble, Tiki Rum, Lake House Spiced Rum, Nocino. 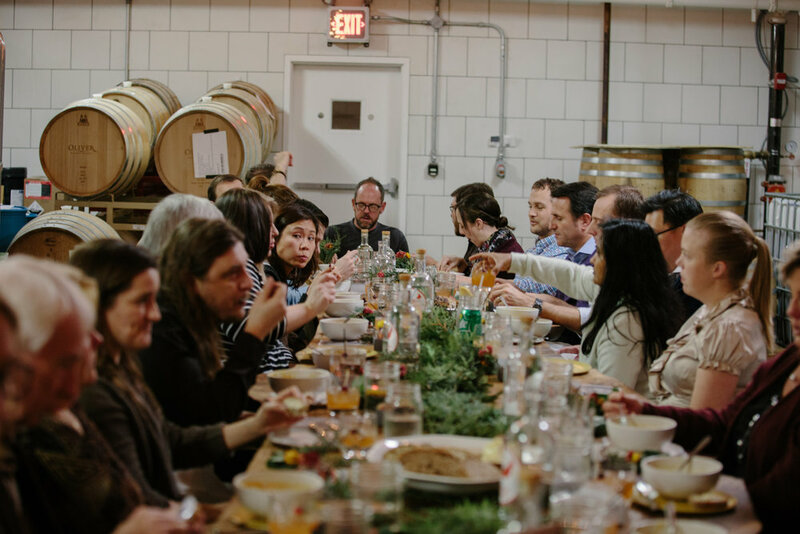 Whether you want to reserve a table or book a buyout, dinner at the distillery is a one-of-a-kind experience for your team or clients. Personalized menu or chef's tasting menu (all menu items, perfectly portioned for your group) are available. Reward your team with a unique and educational experience. At a private event in the distillery, our bartenders will show guests how to mix up their favorite cocktails and send them off with tips for making better cocktails and punches at home. Let us know who you're buying for, and what you are looking for, and we'll get back in touch within a couple hours with a recommendation! Thank you! We'll be in touch within a few hours to help you find the right option. Gift cards are available for use at our distillery in Bloomington. Redeem them for distillery tours, bottles, cocktails, and food! These cards are not for use in the online store. All prices are lower than the actual face value, because the online store we use requires us to charge the same tax rate for all products. Because gift cards are used again and the taxes are applied at point of usage, we have discounted the price here to reflect the 7% Indiana sales tax that will be automatically added to your purchase. Hopefully this is not too confusing for you - it slightly confused us as we wrote it.